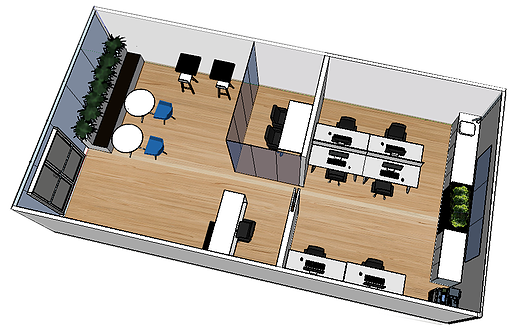 The Employability Centre for The University of Queensland was moving into a new space that required a redesign. The goal of the space was to create a comfortable and inviting area to inspire, motivate and educate students. 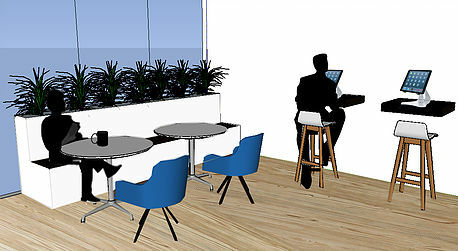 The space is created for the employability staff and engineering, architecture and IT students. A simplistic colour pallet was desired for the space. The relocation of Live Worm at the Queensland College of Art required the redesign of a current student area and gallery into a graphic design studio. We wanted to create a space that avoids distraction but enables discussion and inspires its occupants. We wanted to bring elements of graphic design into the interior space to create a profession but unique design studio. We also created a graphic for the exterior windows to draw people to the space. 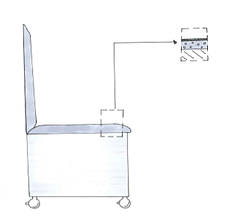 We considered where technology is going in the future and created spaces for portable screens. Creating a space around the students and staffs needs rather than simply a place to store books. 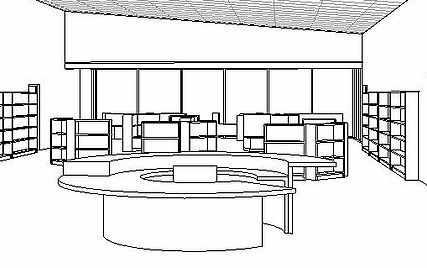 We designed the space around future technology use as well as areas for students to read. When researching we decided to implement colour psychology as well as keeping the school colours which we applied throughout our library redesign. 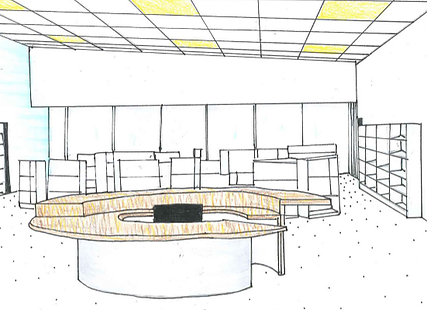 We wanted to create a school and community gathering space while also making the space relevant to the students. 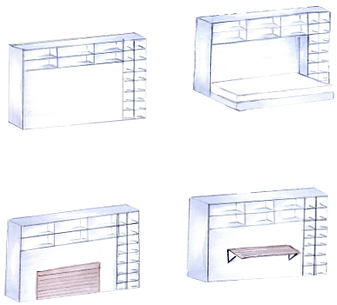 We created modular furniture so the space could be rearranged in the future as the library evolves and so students and staff are able to make the space their own. This small apartment redesign aims to rethink how we dwell in response to both climate change and a growing population. The design aims to be imaginative with an apartment redesigned into two apartments, consisting of four bedrooms in total. 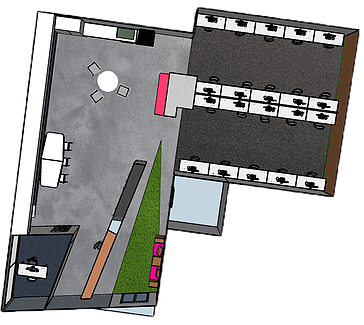 This consists of two private areas and one shared zone. The orientation of the space is to maximize the natural climate to limit the use of powered heating and cooling systems as well as artificial light. The joinery pieces were designed to be modular and multifunctional to further attempt to maximize the space. Materials were chosen in regards to building regulations, functionality, cost and sustainability.